In addition to add to Thai cookery Ruth and I also spent another Sunday making Camembert at a CERES cheese making course but I am not sure if that really qualifies for discussion as part of the home grown challenge- not until I manage to find a way to keep my own cow of course! 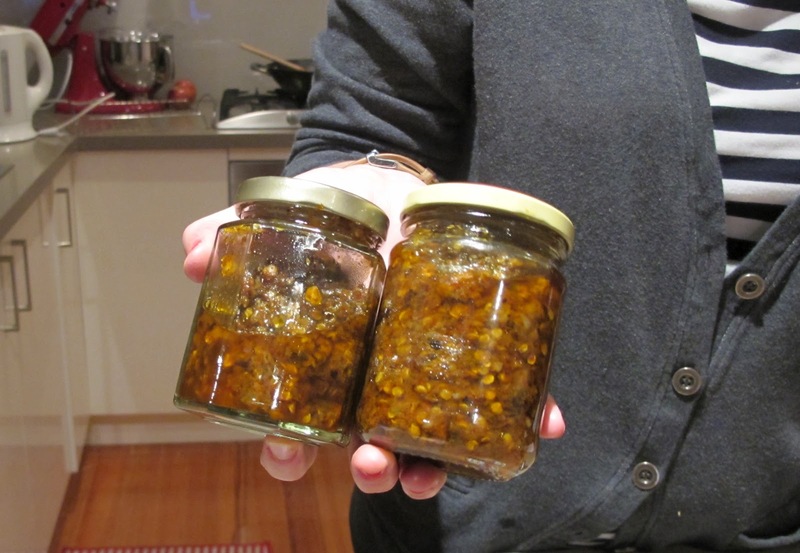 Yum, just what I like - another chilli recipe to try. I always grown more chillies than I can deal with and need multiple ways of 'preserving'. Thanks for this idea. Looks like you and I started our blogs at the same time and with much the same aim. Thanks for adding me to your blog roll! 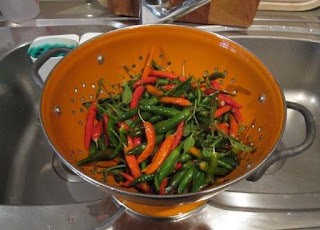 I think I'll use the last big batch of chillies on this - thanks for the prompt. How was the CERES cheese course - I really want to do one but as you allude to, time can be hard to find. What's been growing in July.